Oliver Culpepper, Grandson, M, Black, Oct 1898, 1, sng, NC/NC/NC. John L. Culpepper, Son, M, Mulatto, 4, sng, NC/NC/NC. Lillie Culpepper and Albert Moses are the parents of Robert Moses, born __ 1923 in Nash Co., NC. ED 40, Sheet 2A, Stony Creek, Nash Co., NC. Lillie Culpepper, Female, married Albert Moses on 20 Mar 1917 in Wayne Co., NC. 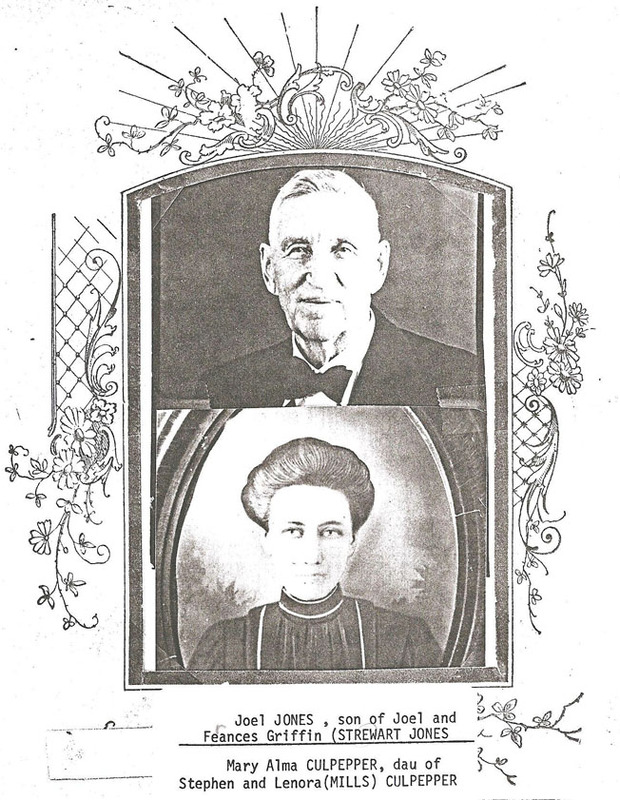 Lucy Culpeper (2-p), Black, born 1880-1881, died 10 Jan 1943 in Nash Co., NC. Mollie Culpepper Tolbert, Perry, GA, 2001 records, Mollie Culpepper Tolbert to Lew Griffin, 2001. + Emma Pauline Smoak Long, Wife of J. L. Long, 26 Jul 1883 - 3 Jan 1956. E-mail written 2001 to Lew Griffin from Terry Wayne Culpepper. E-mail written Apr 2001 to e-mail address from Richard Jones. E-mail written 2001 to GenConnect -- Angelina Co. TX Query Forum on Rootsweb from Ron Black. Molly Freeman, 14, F, LA. At the time of the 1880 census, James Ervin Culpepper had married Nancy, and the daughters of James and Matilda (Frances and Tinnie) were living with James and Nancy. So most probably, Matilda ded prior to 1879. Tingie Culpepper, F, 6, Dau, S, TX TX TX. E-mail written Feb 2001 to e-mail address from Lisa. Theo Culpepper Green, 1 Sep 1894 - 20 Jun 1961. Roman Sterling (Toady) Waldron, III, was born August 1, 1933 in Corpus Christi, Texas. He died peacefully at sunrise on Thursday, December 2, 1999. Toady graduated in 1950 from Corpus Christi High School, attended New Mexico Military Institute in Roswell, New Mexico and graduated from the University of Texas with a degree in Petroleum Engineering. He spent many years in the oil industry in Corpus Christi, Midland and Houston. In 1983, he and Nancy moved to Orange Grove where he ranched. He was preceded in death by his mother, Gene Collins Waldron and his father, Roman Sterling Waldron, II. He is survived by his wife of 29 years, Nancy Jackson Waldron of Corpus Christi; his six children, Roman Sterling (Tad) Waldron, IV of George West, Foy Shepard Waldron of Lakeland, Florida, Clayton Jackson Waldron of Orange Grove, Leslie Sterling Waldron of Albuquerque, New Mexico, Martha Waldron Perrin (Harry) of Houston and Nancy Wallace Waldron of San Antonio; a sister, Genie Waldron Hudgins of Houston; grandchildren, Sterling West Waldron and Harrison Alexander Perrin; aunts June Collins Wood and Lucile Tankersley Collins, both of Corpus Christi; nephew and niece, Robert Vaughan and Patricia Vaughan Erickson and cousins, Harvey Newberry (Lois), Bruce L. Collins (Elenita), E. Marvin Collins, Kay Collins Artzberger, Berta Heinly Yager (Joe), Betty Heinly McKenzie (Jim Tom) and Norman G. Collins (Trutti). Shepherd at 4:00 p.m. on Sunday, December 5, 1999.